M.I.A. is a British-Sri Lankan rapper, singer, songwriter, filmmaker, visual artist, and record producer. Some of her hit songs include Bad Girls, Galang, Paper Planes, Bucky Done Gun, Matangi, Bring the Noize, Born Free, and Bamboo Banga. Asides from her music, M.I.A is also a vocal activist and unapologetically uses her music to talk about issues such as refugee rights, the cost of armed conflicts, etc. Her activism has earned her much controversy due to her outspokenness. Get to know more about the rapper here. M.I.A was born on the 18th of July 1975 in Hounslow, West London. Her full name at birth is Mathangi Maya Arulpragasam. Her parents are from Sri Lanka, specifically the Tamil ethnic group. When she was just 6 months old, the family relocated back to Sri Lanka where they lived until the breakout of the Sri Lanka civil war in 1983. Following the outbreak of that war, the family (without M.I.A dad) relocated to India. The Emcee was six at the time and the family stayed in India for about five years before they relocated back to London as refugees (still without her dad). 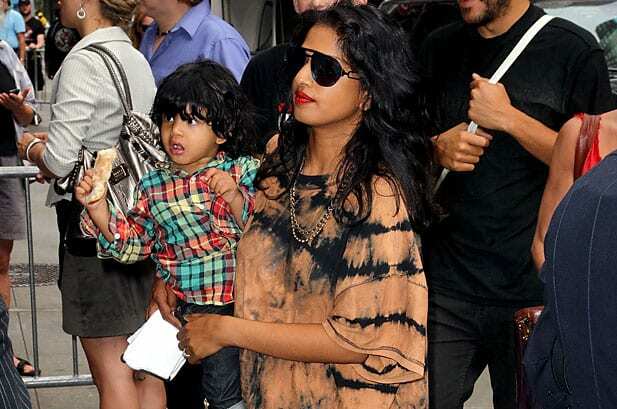 In London, M.I.A completed her primary school education as well as her high school education. Growing up, the rapper was very good in freehand drawing and as such, she attended the Central Saint Martins College of Art and Design where she studied fine art, film, and video. M.I.A. initially started out as a filmmaker and artist (painter) until a friend of hers introduced her to Justine Frischmann, one of the lead singers of the British alternative rock band, Elastica. The band contracted her to design the cover art for their upcoming album and also film their upcoming tour. While on tour, Frischmann loaned M.I.A. a Roland-MC 505 groove box and encouraged her to make music. She immediately got to work and produced her first demo tape. The tape had songs such as Lady Killa, M.I.A, and Galang. Galang, released in 2003 by Independent Label Showbiz Records, was M.I.A’s first single and proved to be a hit. It landed her a record deal with XL records in 2004 and she released her first album, Arula in March 2005. The album which featured songs such as Galang, Sunshowers, and Bucky Done Gun received favorable reviews from critics. M.I.A. followed it up with her second studio album Kala in 2006. It featured songs such as Bird Flu, Jimmy, and Paper Planes which made her a global superstar. Since then, she has gone on to release three more studio albums Maya (2010), Matangi (2013), and AIM (2016), two mixtapes and two EPs. She has also collaborated with other artists. One of her most popular collaborations is Give Me All Your Luvin, with Madonna and Nicki Minaj. M.I.A has received several award nominations for her music. They include a nomination for best British female artiste at the 2009 BRIT awards and a nomination for record of the year at the 2009 Grammys. M.I.A. is an artist who uses her song to speak about the social and political issues of our time. There is no gainsaying the fact that her childhood experiences of civil war and refugee status helped shape her into that kind of musician. She uses her songs to talk about issues such as immigration, war, genocide, and oppression of minorities. She is most especially vocal about the human rights abuses being perpetrated against her ethnic group, the Tamils, in Sri Lanka. M.I.A. comes from a family of five. Her dad, Arul Pragasam is a renowned political activist. He was a co-founder of the Tamil resistance movement in his native Sri Lanka. In the 1970s and 80s, he was a prominent protester against the ruling Sinhalese government which was oppressing the minority Tamil ethnic group. He campaigned for an independent state for the minority Tamil population. Due to his rebellious activities, he was forced to stay away from his family for their own safety and as such, M.I.A. mostly grew up without her dad. Her Mom, Kala is a seamstress who worked for the royal family for much of her career. M.I.A. cites her mom’s bravery as the source of her own courage. Her mom relocated the entire family to London to escape the civil war and had to work as many as four jobs to sustain her three children. The rapper has two siblings, a sister named Kali Arulpragasam and Sugu, his only brother. Boyfriend or Husband, Is She Married? M.I.A. previously dated American DJ and record producer Diplo. They worked together on her hit song Paper Planes as well as her first studio album Arular. They dated for five years before calling time on their relationship. She was also engaged to musician and environmentalist Benjamin Bronfman, the son of billionaire Edgar Bronfman Jr., former CEO of Warner Music Group. They met while M.I.A. was living in Brooklyn between 2006 and 2008. They have a son together named Ikhyd Edgar Arular Bronfman who was born on 13th February 2009. They called off their engagement in February 2012. Other Interesting Facts About M.I.A. 1. M.I.A. is one of the first artists who utilized the internet to rise to fame. When her first single came out, she uploaded it to MySpace and this went a long way in making her popular and earning her a record deal. 2. Her stage name M.I.A. is a play on her middle name. It also stands for ‘Missing in Acton’. M.I.A. once lived in an area of London known as Acton and as such changed ‘action’ to ‘Acton’. 3. She is the first Asian person to be nominated for a Grammy and an Oscar in the same year. She achieved this feat in 2009 when her song Paper Planes was nominated for Grammy for best record. She was also nominated for Oscars for the best original song for her work on O…Saya, a song on the soundtrack of the movie, Slumdog Millionaire. 4. Her first album, Arular is named after her dad. Her second album Kala is named after her mom. According to her, she decided to name her first album after her dad because the only thing she ever got from him was a name. When Arular was about to be released, her dad emailed her, telling her that he was proud of her and that she should change the name of the album. He probably felt that he did not deserve such an honor after being an absent dad. 5. She is a supporter of wiki leaks and its founder Julian Assange. She supports them because the news site confirmed what people had already been saying about the human rights abuses meted out to the Tamil ethnic group. 6. She stated in a 2010 interview with NME magazine that she believes that the CIA developed Facebook and Google in order to monitor people’s personal information and control them. 7. M.I.A. performed at the 2012 Super Bowl halftime show alongside Madonna and Nicki Minaj. During the performance, she extended the middle finger to the camera. The NFL sued her to court for damages and the matter was later resolved out of court.